Thanksgiving is nearly here and that means the holiday season is the air. Nothing says holiday quite like the festive, minty flavor of candy canes. Our candy cane milkshakes are an easy, cool dessert treat, perfect to help you ring in the most wonderful time of the year. 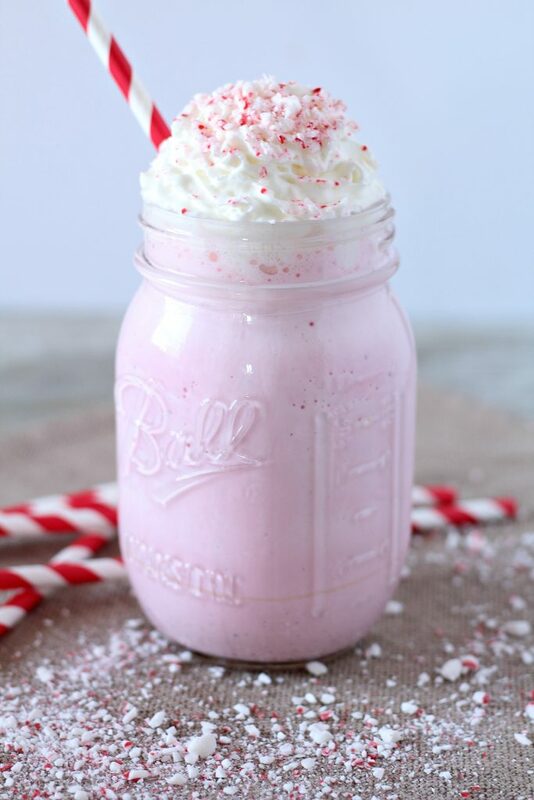 With limited prep and just a handful of ingredients, you can be enjoying a candy cane milkshake that is so deliciously minty and creamy that it could be served in your favorite ice cream shop. I used to look at candy canes and see one of two things. A. cute, simple, and in-expensive tree decorations, or B. something gross I wouldn’t eat and would most likely collect dust in the Christmas bin until next Christmas. Boy, was I missing out! 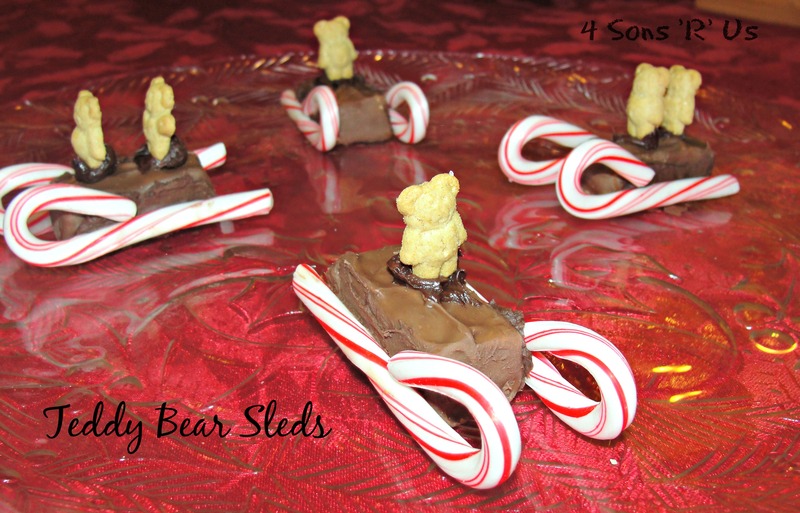 Still inexpensive, candy canes are great for Christmas-time crafts, like these adorable Teddy Bear Sleds. Who wouldn’t be tempted to eat these sledding teddies? They’re just so adorable. The youngest son loved these, so much so that he wouldn’t even eat his for a whole day. He’s never not eaten candy IMMEDIATELY. That’s never happened before, like not in the history of ever. They’re almost too cute to eat. Almost. 1. 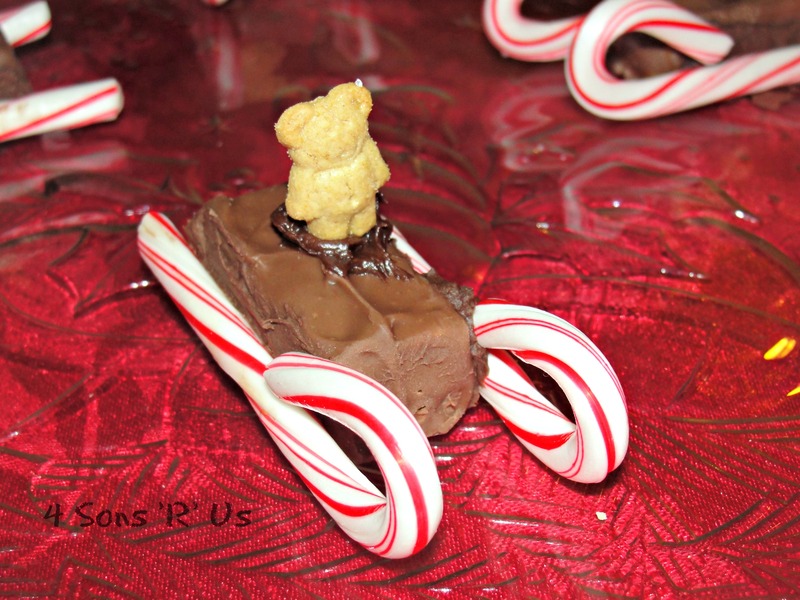 Attach candy canes to the sides of unwrapped candy bars, using frosting, to look like sleigh rails. Let dry. 2. 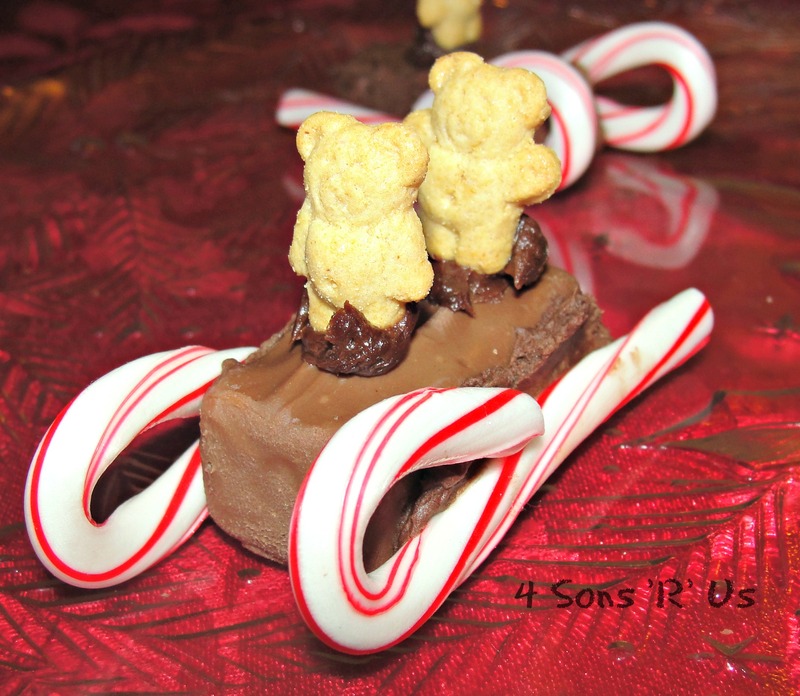 Again using the frosting, attach 1-2 teddy grahams to the top of the sleigh. Let the frosting dry again. 3. Enjoy your sleigh-riding teddy bears!